I'm Robert Balitewicz, AKA IndianaBob. 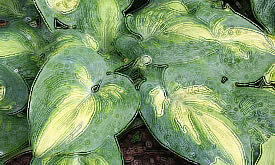 I was introduced to hostas by my daughter's professor, the late Bill Brincka, of the Art Institute in Chicago. 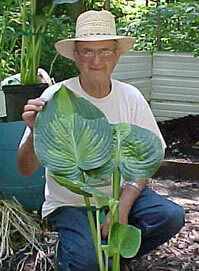 Bill taught me about hybridizing and having a goal. Many of my key plants are the result of our efforts. My all-time goals are to develop a golden kikutii and a golden 'Jade Cascade'. Some of my favorite pod/pollen plants to use are 'Gold Regal', 'Elatior', 'High Noon' and 'Big John'. Two of my recent efforts have been 'Troubled Waters' and 'Emerald Cascade'.